As Europe’s largest legal market, Germany sparks the interest of international firms. The strength of domestic outfits, the diversified economic landscape, different working practices and unique client relationships make the market atypical and complex – but one worth fighting for. As the world’s fourth largest economy by nominal GDP and the largest in Europe, Germany accounts for 28% of the euro zone’s economy in 2017 according to the IMF. A strategic location in the heart of Europe, a powerful industrial network, a modern finance system, an attractive tax regime, a highly skilled workforce with a good command of English, reliable infrastructure, a stable legal and regulatory framework and a large consumer base all contribute to its ability to attract global capital. In terms of FDI stock, Germany is the fifth largest destination for FDI in the world and one of the leading investor countries. Germany is also the second largest R&D site for multinationals in the world, just after the US, with by far the highest number of patent filings in Europe. The European Patent Office (EPO) is also based in Munich. The location of the Central European Bank in Frankfurt is further proof of Germany’s international standing. As a result, Germany is the fifth most popular destination for transnational companies for 2016-2018, according to the 2016 Global Investment Report of UNCTAD, with over 45,000 international companies operating in the country. Germany is one of the busiest and largest legal markets on the European continent – but also, arguably, the most complex and atypical. It has a number of strong, sizeable independent firms in competition with a great concentration of international firms. But it is also one of the most segmented, with numerous boutique firms nationwide, each offering their own specialization. According to the Federal Chamber of Lawyers (Die BRAK - Bundesrechtsanwaltskammer), lawyers in Germany numbered 164,393 in January 2017. That’s around 200 lawyers per 100,000 residents, compared to around 100 per 100,000 in France. This figure is nearly double the 85,105 lawyers present in the country in 1997. One of the reasons for this phenomenon is that lawyers in Germany can also practice other professions, such as notary, chartered accountant and auditor. Under certain conditions and standards of ethical conduct, lawyers may even continue to work in-house. 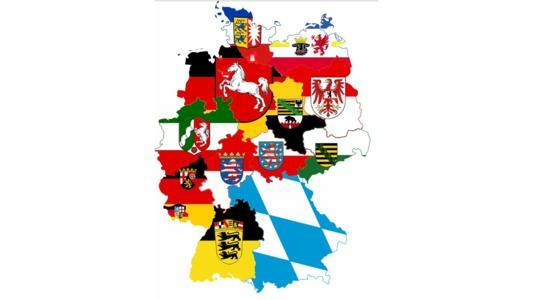 Germany is a federation of Länder that is governed by the principles of regionalism. The market is not dominated by one city or one region in particular, and each city has its own attractions and client base. To the north, the second largest city, Hamburg, is a Northern European hub for shipping and trade, a center for media as well as an important location of the civil aerospace industry; the capital Berlin is also the largest city, and its economy is dominated by the service sector (regulatory, real estate, R&D, business relocation, startups, tourism, conference organization, etc.). On the river Main, Frankfurt is Europe’s second largest financial center, Westphalia and Rhineland are Germany’s industrial heartland and home to many domestic and international insurers, and Stuttgart hosts many automotive giants and leading companies in the financial services sector. Finally, to the south in the wealthy state of Bavaria, Munich is a major center of tech, manufacturing and insurance and is home to numerous PE/VC firms. This decentralization makes the German market different from other European markets and helps to explain how the legal profession is organized across the country. Proximity is the watchword, and clients choose their lawyer from local firms that are close to their headquarters. Although larger firms tend to have offices in several cities, strategically, a firm must choose carefully the location of an office according to the type of sectors and locality it wants to be active in. Three cities stand out from others: Frankfurt (corporate & financial law), Düsseldorf (corporate law, IP) and Munich (IP) are the winning trio for any firm that wants to succeed in Germany. An increasing number of international firms have recently been re-examining their German strategies. A number of firms have either slimmed down or pulled out entirely, but some others have launched their own offices or went aggressive in lateral hiring. Düsseldorf and Munich offices to create a broader offering based on transactional, investigation, regulatory and disputes services. A year earlier Shearman & Sterling largely cut its offering, operating a smaller force concentrating on the high-end corporate market. New entrants and expansions are not unheard of. US firms, in particular, are shaking up the lateral market, which has traditionally been the preserve of large national firms and Magic Circle firms that moved into the market in the 1990s. Since then Morrison & Foerster opened its first German office in Berlin by raiding a team of nine Hogan Lovells partners and Latham & Watkins expanded into Düsseldorf by hiring Shearman’s team and subsequently several notable hires of Magic Circle partners in 2013, Greenberg Traurig opened a 55-lawyer office in Berlin through a mass hire from Olswang in 2015. In February 2016 Herbert Smith Freehills (HSF) opened a third German office in Düsseldorf, followed two months later by a nine-lawyer disputes team hired from litigation boutique Acker Görling & Schmalz (AGS Legal). In May, Dentons opened a third office in Germany, adding Munich to Berlin and Frankfurt. In June, Gibson Dunn opened a Frankfurt office adding to its Munich office, which has also been strengthened through Magic Circle lateral hires. In July, Clydes launched its first German office in Düsseldorf with a five-lawyer insurance team from Noerr. Finally, in March 2017, Gowling WLG opened its second German office as part of its Europe expansion strategy. players, although not all deals succeed, such as the failed Addleshaw Goddard and Luther merger in 2017. €84 billion from the previous year to reach $200 billion, and private equity investors were again perceptibly active, especially on mid and small-cap markets. It is noteworthy that in 2016 Chinese investors increased their M&A investment in Germany by 3,200%. This growth is even more striking in comparison to the US. Traditionally, and still, the largest foreign involvement in German business, US deals decreased by 9.9% in 2015-2016. It is thus not surprising to see a spate of law firms moving into the North Rhine-Westphalia region, hoping to attract business from the Chinese companies that have established their European headquarters in Düsseldorf and Cologne. The general environment is also favorable for law firms: the continuation of restructuring work from the financial crisis, increasing competition control and regulatory enforcement that is driving up compliance needs and investigation work, rise of IP litigation and other disputes, as well as Germany’s booming startup economy. In the post-Brexit era, Frankfurt also has a great chance to take center stage as Europe’s premier financial hub. Regarding the economy, although recovery seems to be on the horizon, not everything is rosy. As a reaction to FDI into sensitive industries, since the beginning of 2017 the Federal Ministry of Economics of Germany has been seeking greater veto rights, especially against Chinese high-tech takeovers. More specifically to law firms, the German legal market is already crowded, with over 50 international firms competing with very strong domestic outfits, so firms have to put in place strategic thinking when choosing the locations of offices and specific areas of expertise if they want to avoid having to restructure or shut down later on. How much to charge is another subject that Anglo-American law firms have to handle with care, as they are used to charging higher rates in London and New York than even DAX 30 companies would consider paying. Client relationship is also atypical. For instance, as Heuking Kühn Lüer Wojtek’s partners Stefan Duhnkrack and Pär Johansson pointed out, although the German M&A market has become increasingly sophisticated and international over the last two decades, many German mid-sized companies (namely the so-called Mittelstand) still prefer shorter, more focused documentation than long and detailed used in English or American transactions. The German legal market is facing profound change because of legal tech, competition and pressure on rates, and firms cannot simply react with growth and new hires – especially as the competitive situation is being fueled by new players.